If you are experiencing any problems with your laundry room equipment, the best thing you can do is to hire a qualified dryer technician of Airdrie. Nowadays, it’s hard to imagine a household within the Airdrie area in Alberta without a dryer.No doubt, this appliance is of a great help. But when the clothes start coming out soaking wet, it can turn your normal routine into a mess in an instant. Luckily, a skilled local dryer technician can assess your problem the very same day. 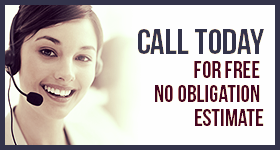 All you need to do is to call our company and let us bring our vast appliance repair experience to the table! At Appliance Repair Airdrie, we are your go-to company for any service in your laundry room. When it comes to tumble dryers, you won’t find another unit that works so hard to get your clothes dry in a short while. However, there are numerous problems that can affect the proper run of your appliance.Most of them are related to faulty heating elements,dirty lint traps, broken belts and switches. But don’t worry! Be it a front or top load dryer,the appliance will be fixed in one go by a certified local expert. The Airdrie dryer repairmen are familiar with both gas and electric models. From servicing front load washer and dryer sets to fixing stacked laundry units, the techs can handle any job with ease. While working on the appliances, they use only advanced tools and quality dryer repair parts.By partnering with us, you can expect to get long-lasting results, regardless of your problem. You can turn to our company with a vast array of dryer services. With our friendly approach,you will receive nothing but a complete customer satisfaction.Dealing with dryers is not as simple as it may seem to be. 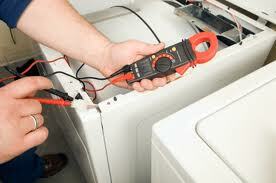 That is whyyou should entrust your dryer installation, replacement or any other task to certified technicians only. So give us a call us today to book the required service. No matter what you need,an Airdrie dryer technician will be there on time and ready to face any challenge!